The Ultimate Guide To Makeup Brushes & Tools. I'm a religious reader of Get The Gloss. I love the variety that's on there, I'm never bored so when I was contacted by them to be informed about their new e-guide, The Ultimate Guide To Makeup Brushes & Tools, I had to read & share. 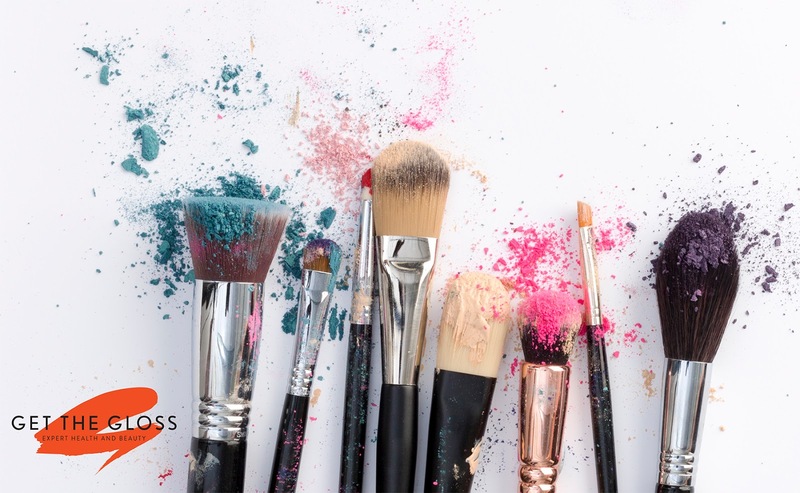 Created by GTG's makeup columnist Anna Hunter you'll find a history on make-up brushes within this guide, which I enjoyed & found out some interesting facts from Ancient Egypt up until the current year, you'll find a very brief but informative article. It might be the historian in me that enjoys seeing the evolution and brush pioneers. There's also an article about the ethics of brushes, we all know there's natural and synthetic brush types but how much do we know about our brushes, when the pros and cons are weighed up, isn't it a good thing we've been given alternatives other than Hare’s feet for make-up application, you read correctly...Need help weighing up the options, this will break it down and help you. Reading the brush guide section, some I already own but it also showed me some other companies that have brushes I didn't consider previously but I'll definitely be looking into more but sometimes fingers work best which I find can be the case, the product warms up with your body heat and seems to blend and apply softly but if it's not totally your thing, you'll find a perfect brush for your foundation, contour to even a smudge brush...and how about how to use the fan brush, I think if you want to buy a brush wardrobe with the essentials view this guide it's also shoppable, click the icon available within the e-guide & it'll take you straight to a website to purchase, the work's done for you. Into new make-up tools that are shaking up the norm? Check out the section on Trailblazing Tools. I have had make-up brushes from 2008 / 2009 until now that are still serving me well, I think how they're made and how also you care for them helps in the longevity of a brush. This has a detailed way to clean your brushes and even brush cleaning tools & if you've kept your ear to the grapevine you may have seen the day has come that a machine will now clean your brushes but is it worth it? This guide already has already helped my make up my mind. It's a well composed guide, very informative and it's all you need right now to get straight to the point.